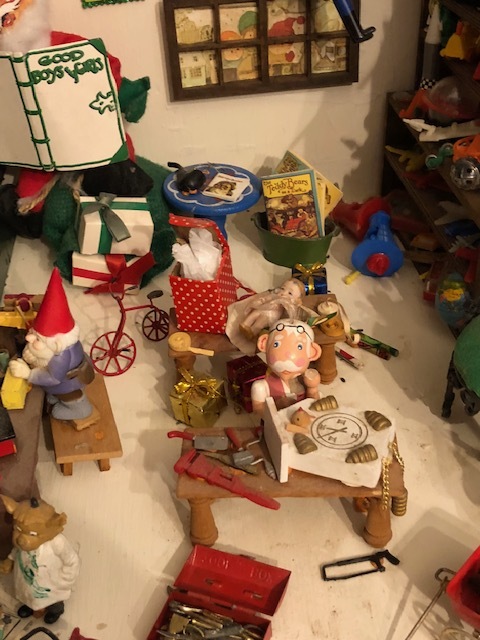 B e amazed at the detail in Santa’s North Pole Workshop which is on loan from Jan Grace of Warehouse Point. 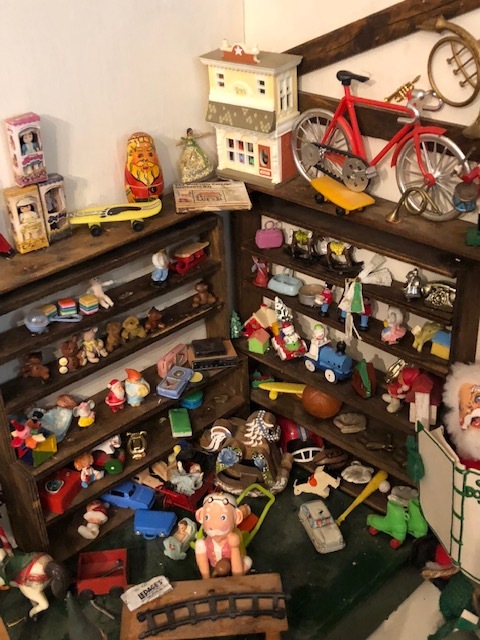 It is an incredible work of love and craftsmanship between Jan and her mother Jane Dewey Ferris. 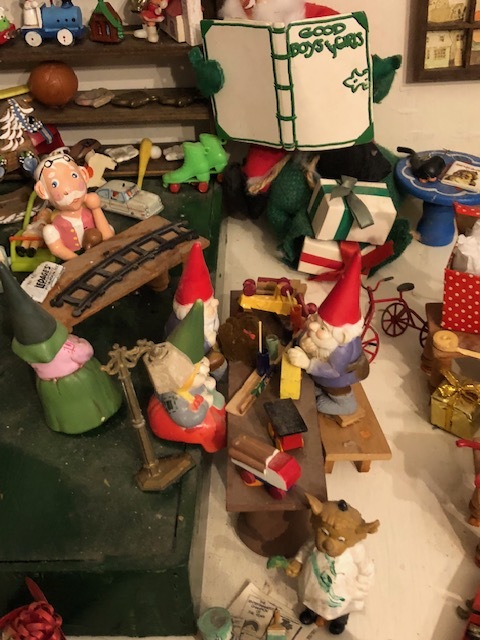 This miniature diorama has been on display many times in many towns over the years and we are honored to display this intriguing collection of miniature art. Santa is shown going over his list of good boys and girls and Mrs. Santa is in the kitchen making cookies. 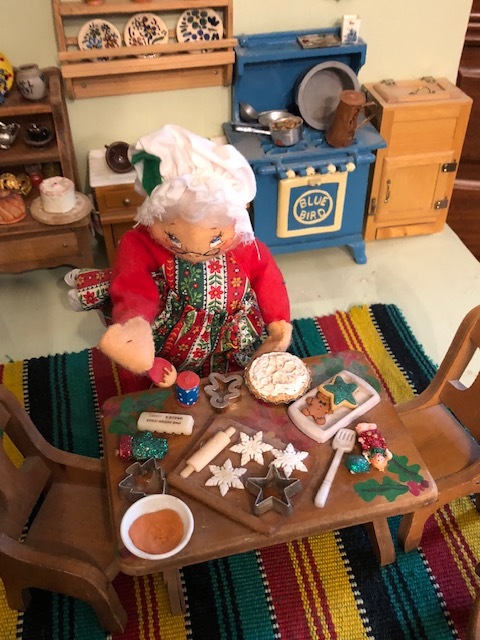 We are open every Saturday from 9 – 12 and prepare to be delighted not only with the holiday decorations and Santa’s Work Shop but with our wonderful collection of East Windsor artifacts. Don’t miss our Holiday Open House Saturday, December 15th from 9am -1pm.